Over the last 5 weeks I’ve been fortunate enough to come alongside my coworker Amy on a church tour that she has organized for our teens. 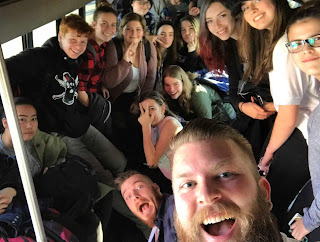 A lot of these teens are people we have known and worked with for years now and, as a result, have a good depth of relationship. However, most aren’t comfortable enough to go to church on their own due to fear of being rejected because of their identity, cases of social anxiety, or just being a bit too rough around the edges. So, of course, we are happy to come alongside to help give them a glimpse of different churches and denominations and create opportunities to talk about those differences - what some believe versus others, and why there are so many. Cool, right? This leads to tons of awesome conversation points with young people where this is all new to them. I love this stuff! However, that hasn’t been my favourite part. 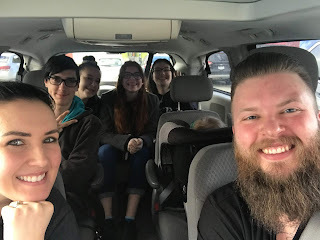 My favourite part about this tour has been loading up our mini van that was donated to YU Langley and filling it with Kirstie, Roland, and the rest of “our kids” on Sunday mornings. It really is a privilege and an honour to give them this gift of what normal can look like. Keeping all discretion, I was able to give Kirstie a glimpse into some of the things these young people have experienced and are experiencing- and she couldn’t believe it. So a Sunday morning with the family is exactly the type of normal consistency needed. This New Year has been an awesome season of ministry so far. This experience these last few weeks has only been one highlight of many cool moments.